I hope this book is as much fun to read as it was to research and write. It is not only for students and scholars of drama and literature, but also for people who enjoy movies and are fascinated by how deeply embedded Shakespeare’s plays have become in world culture. The book is not primarily about ‘Shakespeare films’ in the sense of obvious, conscious adaptations of his plays (though there are plenty of these mentioned along the way), but more focused on the argument that his plays, which had grown familiar to audiences and readers over three centuries, influenced the development of the movie industry by laying down blueprints for plots and genres in the burgeoning movie industry in the early twentieth century. Genres are patterns of events which set up expectations of how a plot will develop and how it is likely to end. My book shows that Shakespeare’s plays dealing with love provided Hollywood (and Bollywood) with familiar plot structures that fed into movie genres like screwball (‘odd couple’) comedy from The Taming of the Shrew, romantic comedy involving several pairs of lovers, melodrama which could end happily or tragically (Romeo and Juliet), and even musical comedy, since plays like Twelfth Night and As You Like It contained many more functional songs and musical interpolations than meet the eye on reading the plays. All this was a treasure trove for film-makers from 1895 to the 1950s, and beyond to the present day. 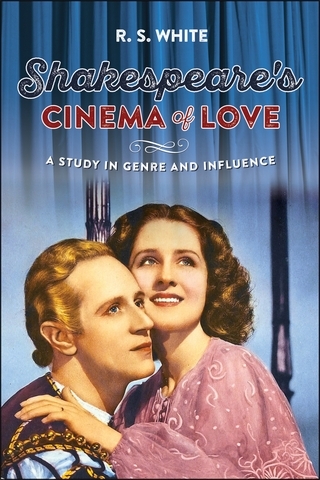 We find in the book some surprising links drawn between, for example, Much Ado About Nothing and Guys and Dolls, between Love’s Labour’s Lost and wartime musicals; while A Midsummer Night’s Dream and As You Like It provide basic generic elements of repetition and change for many box-office movies, whether or not the film-makers realized these protoypes. Unashamedly speculative, playful, and adventurous, the book invites and challenges readers to find their own links through pattern recognition. Underlying it there is a broader theme, that through the cultural absorption of Shakespearean genres into the most popular modern mass medium, we find the dramatist’s shrewd understanding of human feelings helping to create our own ideas of different kinds of love, 400 years on.